Bee Talk with Randy Oliver of Scientific Beekeeping at the 2018 American Beekeeping Federation Convention. We enjoyed speaking with Phil Craft at the Fall Mass Bee Meeting. Phil writes a featured column for Bee Culture Magazine. 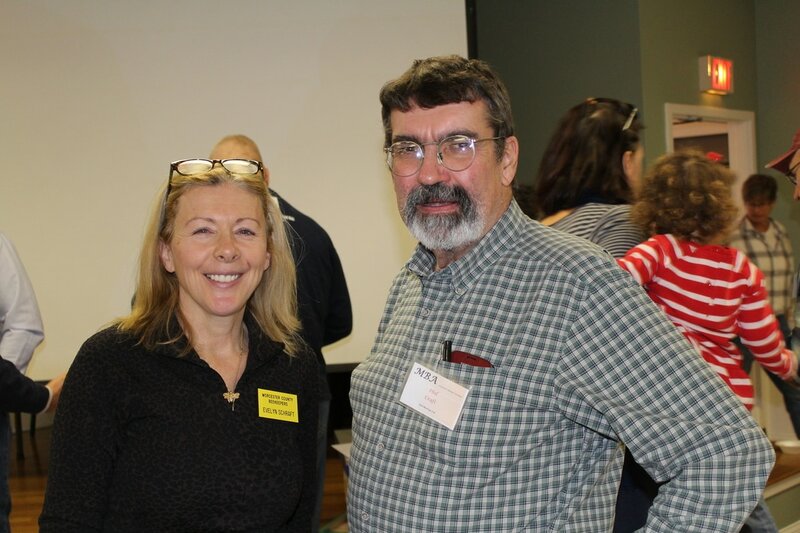 Micheal and Evelyn were recently named the Massachusetts State Delegates of the American Honey Producers Association. Summer Beez held our third annual food drive on "Honey Bee Package" delivery day, April 24th, to benefit the Berlin Food Pantry. Thank you to all of our customers and friends who helped us contribute over 400 lbs of food and personal care products (DOUBLING last year's total) to our neighbors in need. ​We are looking forward to our Fourth Annual Drive on April 23rd, 2018. Lets break another record!